Color, relax & release your artist with unicorn - color by number pixel pages. Coloring by numbers is an excellent way of relaxation and meditation. It is perfect for adults and kids who love to paint and color by number. Color by numbers develop your concentration, color matching skills, accuracy and precision which provides a wide range of fascinating pictures and color the ones you like to create your own artworks allowing you to impress your friends,family and the whole world with masterpieces!With tons of interesting and fashionable coloring pages, you will find coloring is never so fun. -First of all choose the worksheet or picture you want to paint. -When you zoom in,you will see that there are alot of small boxes with numbers inside which indicates that you will fill these numbers by the boxes given below with colors.Then choose colors according to numbers and paint boxes. 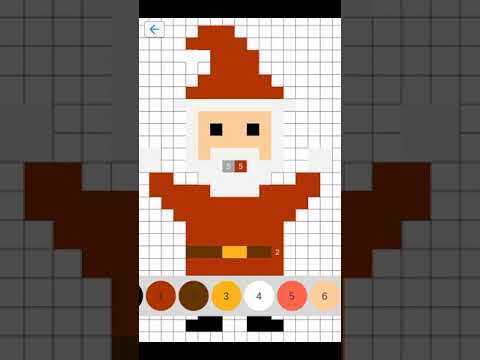 -Just paint by numbers in this interesting sandbox game. -Color drop in the same numbers blocks. -Just follow the numbers in pictures and make an amazing drawing.If you will paint box by other number then no need to be worried.You can also have an opportunity to recover your box by the exact color number & release your creativity. It's an amazing unicorn number coloring book! Very beautiful animals, flower pictures, fascinating patterns will help you to free stress, develop color matching skills and reveal the painter inside. According to the numbers, sandbox color provides spectacular or masterpieces for relaxation, meditation, concentration, inspiration to friends, family and the whole world! -Many sections of coloring pages that fit in any taste: According to the county painting you can find in our application a variety of beautiful Animals, Birds, Flowers pictures,Mandalas, Patterns, Ladders, Places, Foods and more. - User-friendly interface: saves design and trouble-free performance. - Quick sharing: share pictures with your friends in just one touch. - A lot of great content to discover: the collection is updated with new pictures you can paint every week. Sandbox Number Coloring created for children which are in the process for developing their skills and knowledge with many interesting pixel pages and number books to coloring. Pixel is an amusing sandbox coloring that teaches accuracy and precision, which also helps them develop motor vehicles, introducing numbers and colors for them. It is an easy way to uncover the painter in the painting according to color by number.As you can sustain painting, you will get a work of art synchronized with it.Creating masterpieces by your own hands and relief your stress. -Perfect relaxing way to become the master of your own mind. Color by number pages are a great way to teach your kids or students basic number recognition, how to use and it will give them the opportunity to work on their fine motor skills. Trains your concentration and steadiness Or just want to color your own way, practice your drawing and coloring skill. This is a great activity to practice your drawing skills. It’s also fun for any age to try to finish the drawing.You will always get a harmonic work of art as a result of the coloring process. Try the best stress reliever! Choose your favorite colors for these pictures!